She recently revealed her hairy body in a video called ‘Why I Don’t Shave’. There’s Alicia-Keys-makeup-free natural beauty that has many of us women wishing we looked that good sans ‘beauty enhancers’. And then there’s a completely different take on natural beauty that has many squirming at the sight of it. Morgan Mikenas might just be the cause of the latter – depending on how you feel about hairy women. This fitness blogger decided to ditch the razor a little over a year ago and she has never felt more comfortable in her own skin. 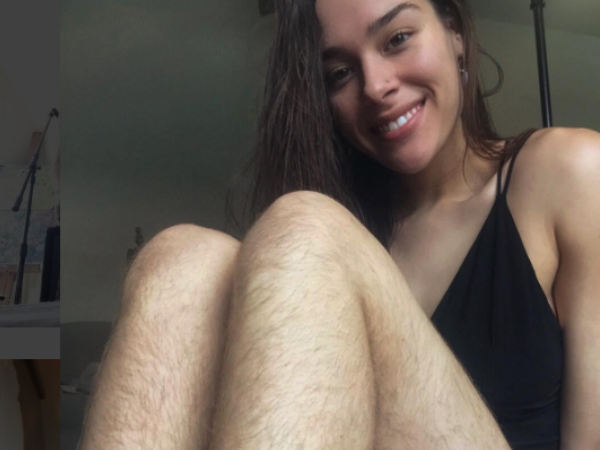 Morgan, who has more than 40 000 Instagram followers, explained that after she was bullied for her hairy legs when she was 11 or 12, she ran home to her mother and while crying asked if she could learn how to shave. Years later, and the workout enthusiast could care less about being hairless. In the video, she elaborates on why she’s shamelessly shave-less: “I guess my number one reason why I stopped was that it just took so much time. “It took so much of my time to get in the shower and have to shave everything and then wash my hair and then wash my body it’s just like another thing. But in case you’re classifying Morgan as another "female shoving body positivity down our throats", she clarifies that she’s not out to convert all women to the hairy life. And Morgan is so set on doing what makes her comfortable, not even innocently nasty remarks from little kids can deter her. As part of her work in childcare, Morgan took some children swimming one day. But the fitness blogger takes it all in her stride. “What does that say if that’s how these kids are being taught? I’ve even seen kids in third grade that shave their legs. I'm a 46 year old woman looking to meet men between the ages of 40 and 65.